Proper mowing, combined with other lawn maintenance practices, is critical for attractive, well-groomed turfgrass stands. 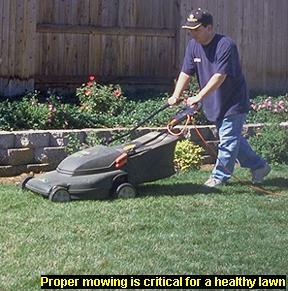 Mowing your lawn entails much more than just mowing on a weekly basis or whenever the lawn appears too long. On properly managed turf, consider grasscycling to release nutrients back into the soil.